Sunday, May 11th (Mother's Day), the Kansas/Nebraska/Iowa section of the Great Plains experienced a strong outbreak of tornado-producing thunderstorms. 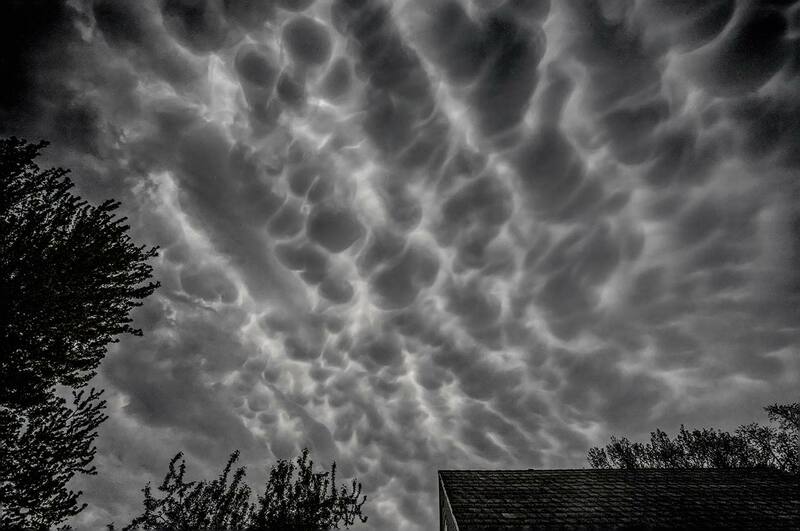 We didn't get any tornadoes here in Omaha, but we did get an impressive display of mammatocumulus clouds. These cloud formations are often associated with the leading edge of supercell thunderstorms and are a good indicator of an impending storm. I've seen these prior to tornadoes, as well. Fortunately, the Omaha weather event did not spin up any twisters in the immediate area. However, the area did receive quite a bit of wind damage. We lost a big tree limb but otherwise escaped unscathed.